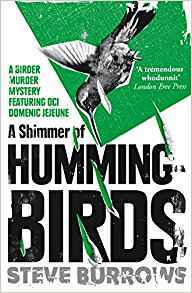 A murder has been committed in Saltmarsh, Norfolk, but DCI Domenic Jejeune is on holiday in Columbia, birdwatching – and trying to discover the truth about his brother’s conviction for manslaughter. This third-person dual narrative moves between the investigation in Norfolk, led by Jejeune’s former colleague, Laraby, and Jejeune’s expedition to the Columbian rainforests. 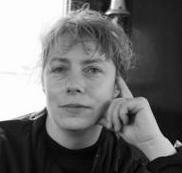 Both locations are vividly described, with the added bonus – this is a ‘birder mystery’ series – of lyrical, but not too lengthy, descriptions of the exotic humming birds Jejeune sees. Jejeune is a likeable but enigmatic character; we see him more through the eyes of others, his lively journalist girlfriend, Lindy, and his loyal sergeant Danny Maik. The murdered woman was part of an investment company interested in drones capable of re-seeding woodland, and Jejeune’s brother was convicted of killing members of an indigenous tribe in Columbia, so both plotlines have a strong environmental theme. The novel had good incidents and a satisfying finish. A PP whodunnit with a strong sense of place, both Norfolk and Columbia. This is the fourth book in the series featuring DCI Domenic Jejeune. It is most certainly very enjoyable as a stand-alone, but earlier books in the series are, A Siege of Bitterns. A Piting of Doves, and A Cast of Falcons.